Happy Valentine's Day everyone! I hope you all get to spend the day with someone you love. 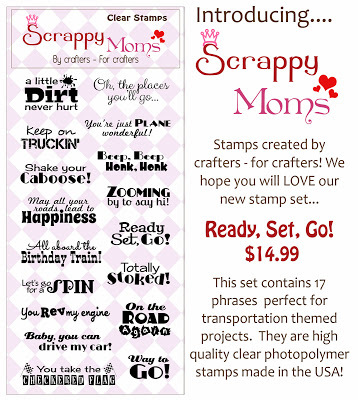 It's time for the February release from Scrappy Moms. Check out these adorable new sets. Love these! So many great sentiments for masculine cards. 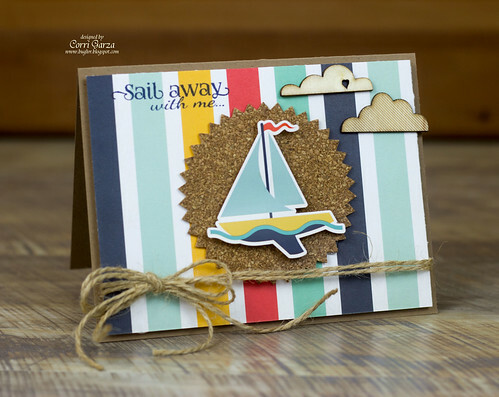 I used the Sail Away set and the new Echo Park Mini Collection "Summer Adventure" to make a quick card. 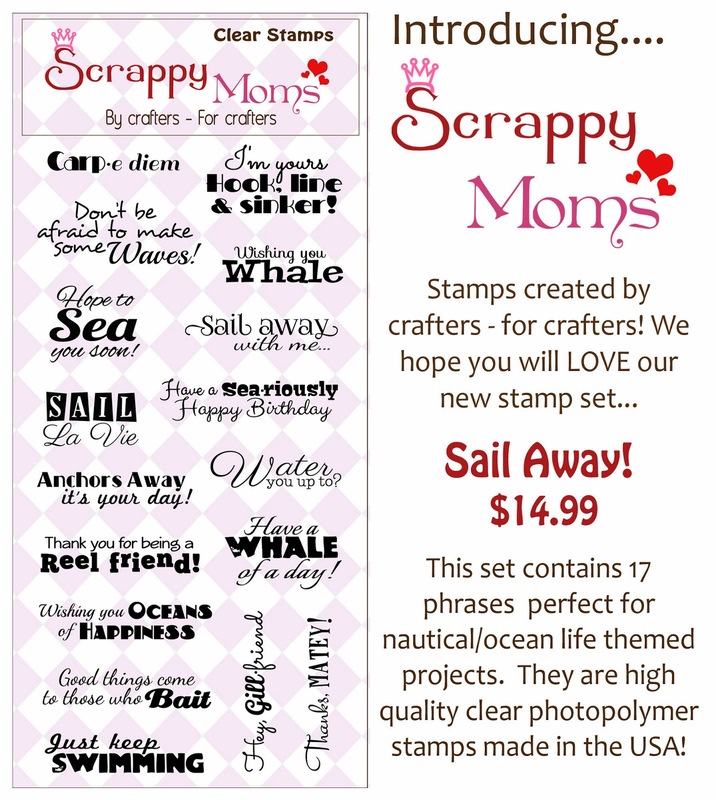 You can pick up these new stamps over at Scrappy Moms Stamps. Be sure to check out the rest of the design team (links in side bar) for more inspiration. Super cute card just love it!